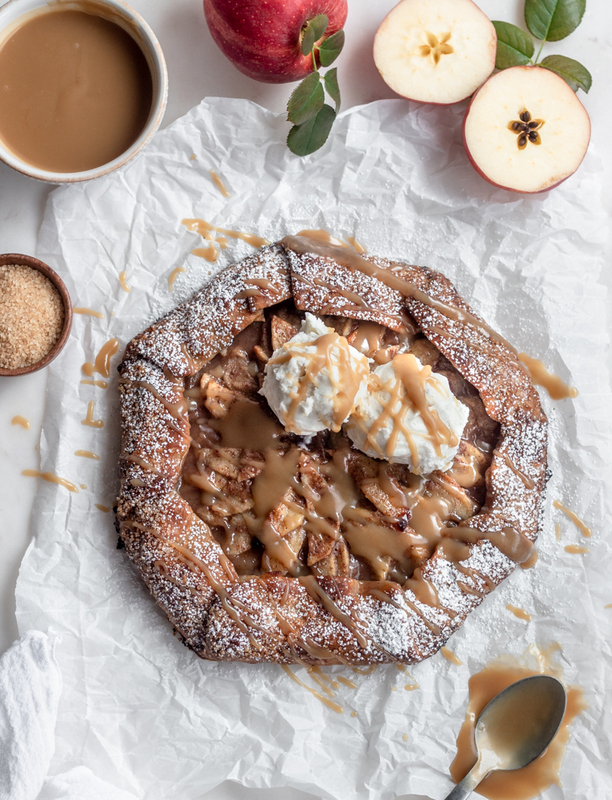 This is a classic apple galette, but the butterscotch sauce makes it over-the-top good! 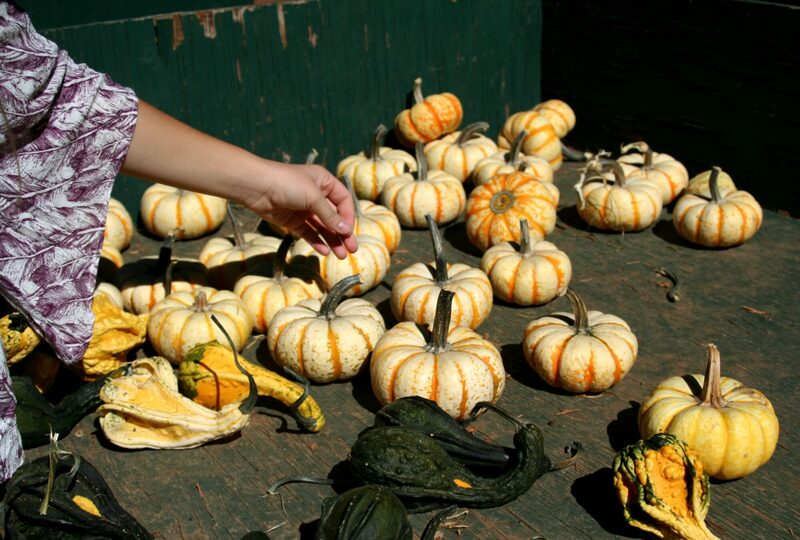 I like to make it ahead to let the flavors infuse, which makes it the perfect dessert for a picnic or party. 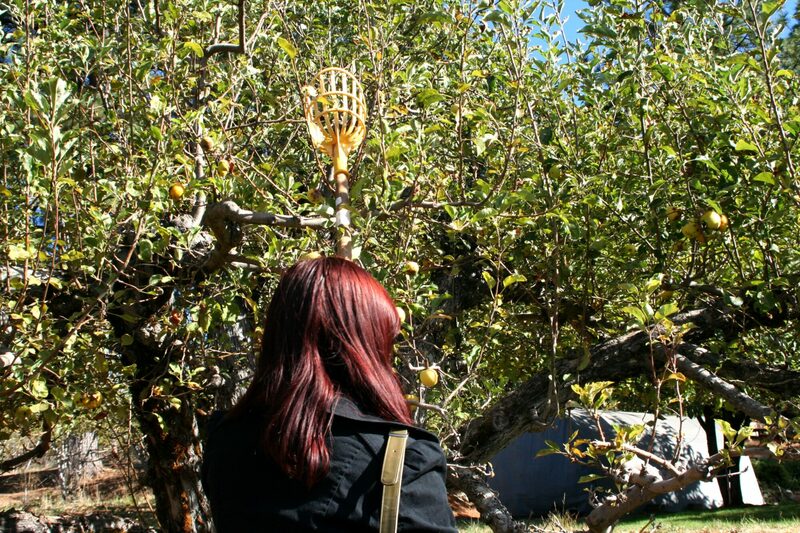 Over the weekend, my friends and I made the 2.5 hour drive to Apple Hill, a large co-op of orchards, wineries, and markets that CA and NV locals frequently visit once fall makes its breezy return. Although I had heard about it many a time in previous seasons, I had never actually made the trip until this year. And yeah, I’ve been missing out! 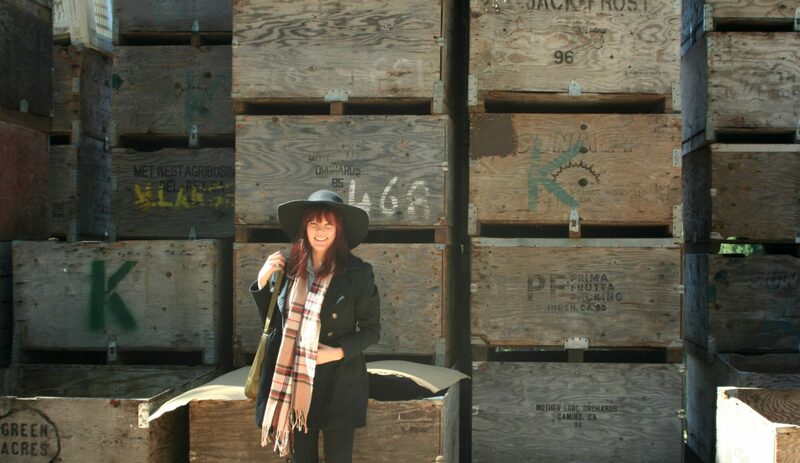 It’s the pumpkin-patch-apple-picking-fall-crazed-plaid-scarf-wearing-hard-cider-loving-redhead-fringe-girl’s dream. 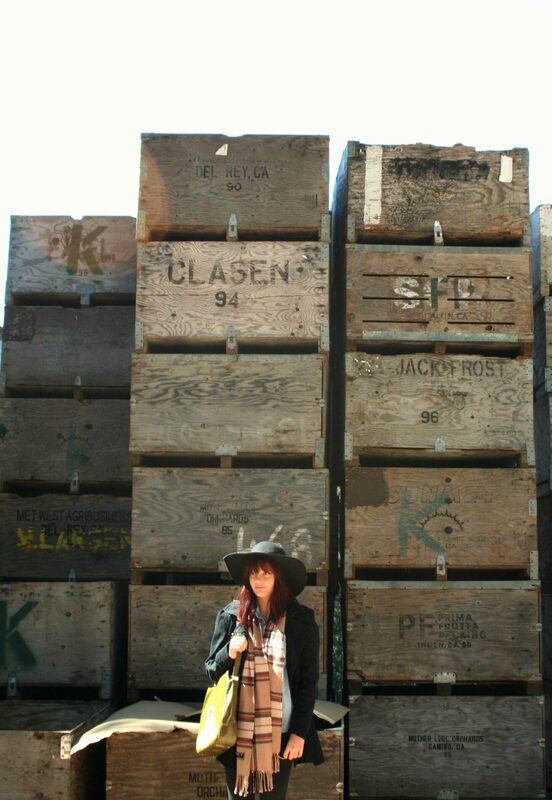 Although if we’re being honest, it takes no convincing to get me to go anywhere with beautiful greenery and fresh produce. 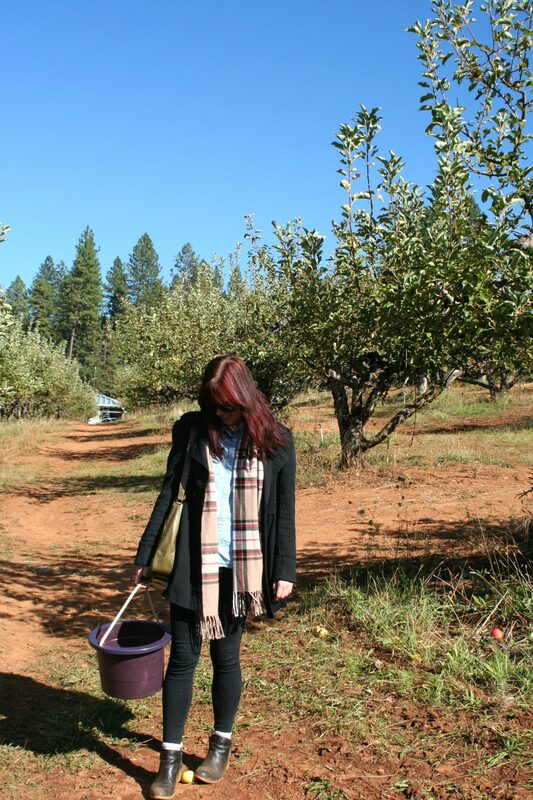 Although there is a whole entire map of places to visit in Apple Hill, we visited a few favorites like Kid’s Inc, Rainbow Orchards, and Jack Russell Brewery (not listed on the map). 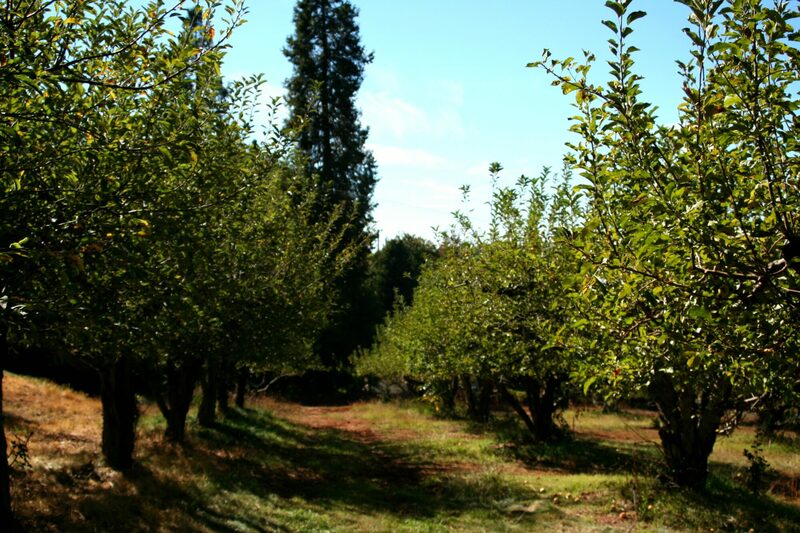 Kid’s Inc has the most beautiful, green field overlooking their orchard, and it’s the perfect place to have a picnic and enjoy a hard cider from Delfino Family Farm. 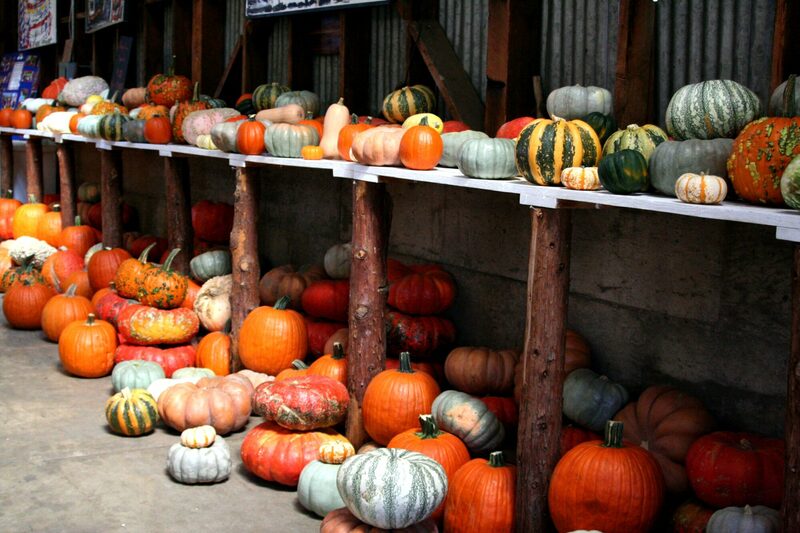 If you’re looking for a good place to buy unique pumpkins and a variety of fruits like apples, pears, and nectarines, Rainbow Farms has so many options at a great price! 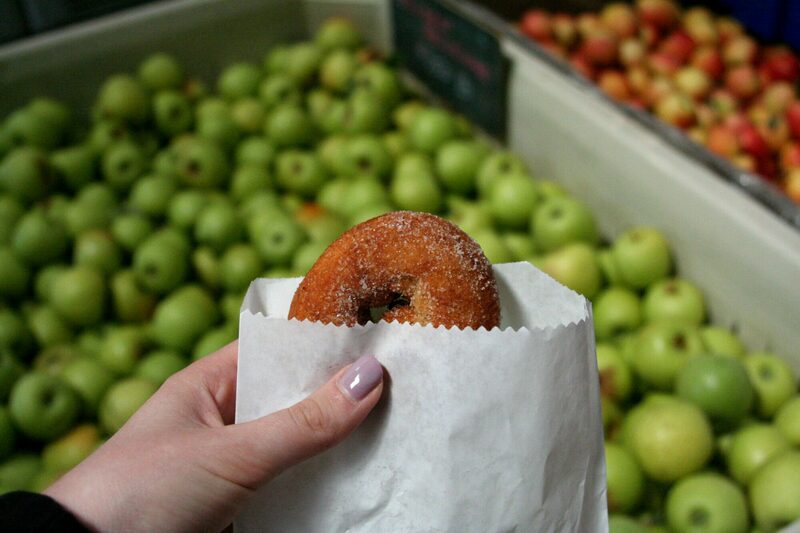 They also have the best apple cider donuts and gallons of fresh pressed apple cider. 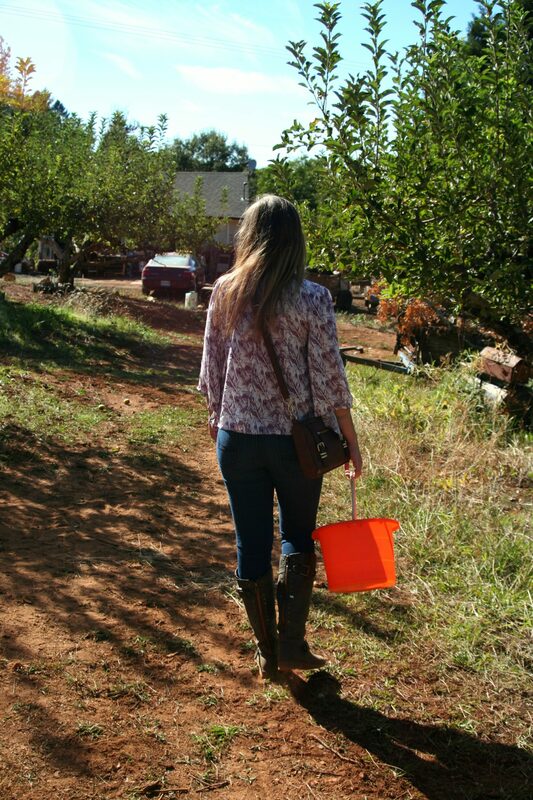 After our pumpkin-search, we visited a local orchard to grab a few apples – they were pretty picked over, but we still had fun hiking around the orchard with our little picker and buckets! We ended our day at Jack Russell Brewery, which is not associated with Apple Hill but is right next to all the apple-fun. There is both a brewery and a “cave” that serves wine, hard apple cider, and mead. My friends enjoyed the mead-hard apple cider mixed option, but I was more interested in the hard blackberry apple cider. Everything is made on-premises, and I love that their ciders are dry unlike many store-bought brands. They have the most lovely patio for relaxing and enjoying your drink overlooking their farm and llamas! 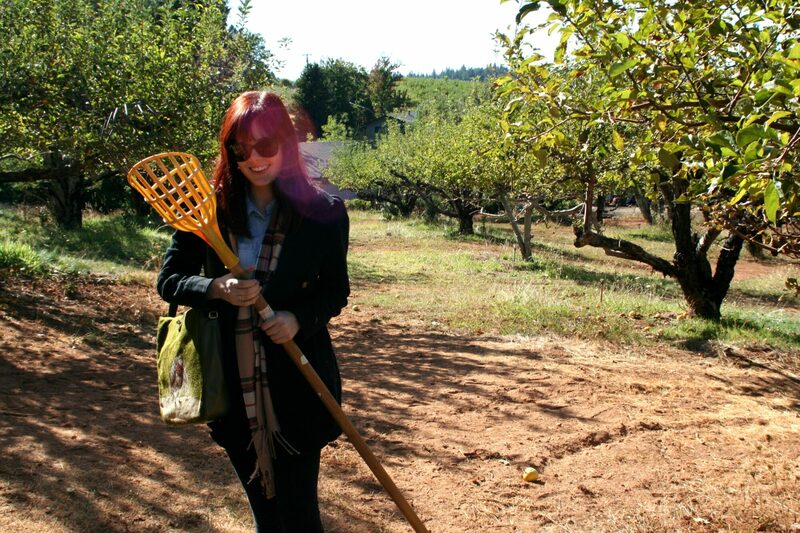 A happy, little geek with her apple picker. My only recommendation would be to bring a picnic lunch or some snacks! Although there are plenty of amazing apple dessert options, the food is pretty limited. 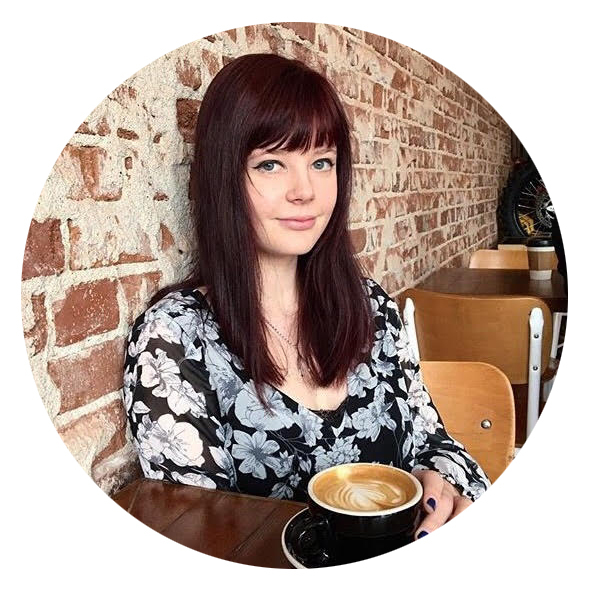 We went on a Friday, so it was a little less busy, but I’ve heard they have lots of food options on the weekends – however, it is pretty standard fair food, and there are so many beautiful places to bring a picnic basket!